Taken out of context, the statement below sounds ominous. Though Warburg laments about fear of world war, I lean toward believing he wants to capitalize on that fear in order to use the UN for a NWO he & his ilk would control. I am not against the concept of a one world government, but it would be folly to entrust it into the hands of the Warburgs, Morgans, Rothchilds & the like. Think about it, our $1 trillion+ military budget alone includes over $100 billion in interest paid to these bastards via the Fed. Besides the surprise & delight to see the German Central Bank take this stance, crime is not decreasing in France & Italy, the 2 countries in the forefront of this trend. Former Fed Chairman Ben Bernanke says the Fed is likely to consider negative rates to counter another economic slump. “It used to be that central and eastern European women dominated Greece’s prostitution industry, but six years of crippling financial austerity have forced local women back into a trade where they now offer some of the lowest prices on the Continent. Total global debt at $230 trillion. Total world debt over 300 percent annual world GDP. There is no escape from a reckoning with debt markets. Total global debt crossed a troubling event horizon by going past the $200 trillion mark last year. Given the latest figures we are likely well above a total global debt of $230 trillion based on a comprehensive study done by ING last year. 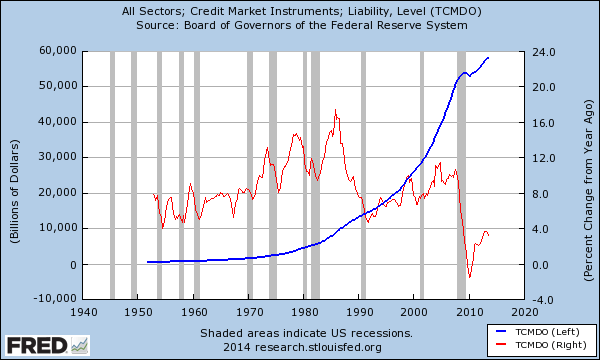 The banking sector rummages for every possible way of accessing debt. Global central banks from the Fed to the ECB to the Bank of Japan are now fully engaged in a digital printing end game. It isn’t so much the startling debt figures that are presented but the GDP that is actually backing up this insurmountable level of debt. 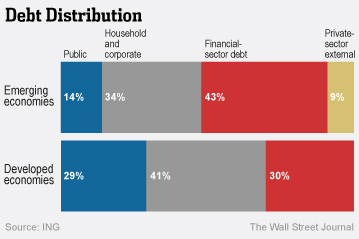 The latest data shows that total world debt is running above 313 percent of annual GDP. To put this into perspective the US meltdown occurred when household debt reached about 120 percent total debt to annual GDP. The only way to keep payments current is with a low rate environment. There is no choice. 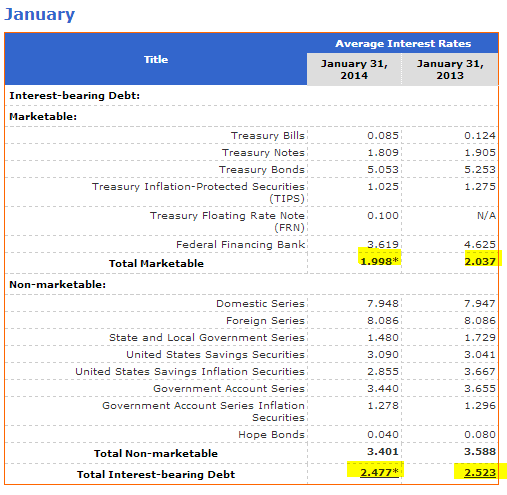 So central banks will do everything they can to print this debt into oblivion. In many ways this is a reason that we have seen a rush into assets from commodities, real estate, art, Bitcoins, and anything that isn’t just a bunch of 1s and 0s on a central bank computer easily changed by the whims of politicians and those connected to them. One of the more interesting figures that I came across was that in 2000, every $2.4 of debt creation produced $1 of GDP growth. Today that figure is up to $4.6 for every $1 of GDP growth. In other words, the impact of debt creation is having less and less of an impact on real economic growth. Unless you live in the digital cloud, you care about the real economy. Ultimately the health of an economy should be measured by good paying jobs and income growth. Since the recession ended in 2009 we have seen more growth in low wage jobs and income growth is not to be found. At the same time, the Fed has expanded its balance sheet to a whopping $4 trillion. The total US debt market is close to $60 trillion. So the US alone is a big chunk of the $230 trillion in total global debt outstanding. Central banks at this point are stuck in a rut. For large economies like the US and Japan having interest rates rise is simply unacceptable given the massive amount of debt carried by these countries. This of course assumes that central banks have full power over the economy. Even if rates went up to historically low levels of say 5 percent, this would bring annual debt servicing to close to $1 trillion. To put this in perspective the government collects about $2.9 trillion so that $1 trillion is no small amount in relationship to what is being generated on the tax side. Very little is financed by the private-sector in developed countries as would be expected. As financial markets develop these things can change but given the low rate environment, people have chased yields all across the globe. Hence a total of $230 trillion and more in public, private, and corporate liabilities. Yet what we are seeing is a large amount of rent seeking and more debt being needed to generate $1 of GDP. There is such a thing as too much debt. 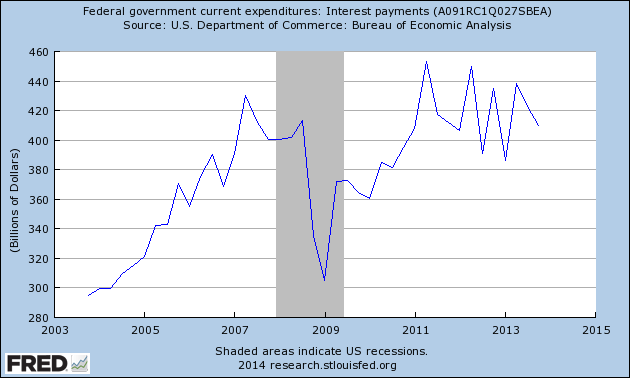 Short of incomes rising we are merely setting up a different sort of debt crisis. We already got a bit of a taste of that early in the year in many emerging markets. For years I have collected information on technology, finance, politics & sometimes an overlap of these subjects. Unfortunately, hard drives sometimes crash & data gets lost. That’s why the primary purpose of this blog is to backup this information to a categorized archive of the information I find most important & relevant. Thereby making it harder to lose & easier to locate specific material. I hope that not only will it be a place for me to utilize, but for others also. Directly below is one of my first posts, which I am keeping at the top, as it is a very important thing to know & remember. Definition of Usury at Dictionary.com: (noun, plural usuries.) 1. the lending or practice of lending money at an exorbitant interest. 2. an exorbitant amount or rate of interest, especially in excess of the legal rate. 3. Obsolete. interest paid for the use of money. “Historically, some cultures (e.g., Christianity in much of Medieval Europe, and Islam in many parts of the world today) have regarded charging any interest for loans as sinful.